The Orbi Outdoor Satellite extends the range of your home (or business) network by another 2,500 square feet for better Netflix streaming by the trampoline. Netgear has a new (and pricey) addition for your Orbi Home WiFi System. 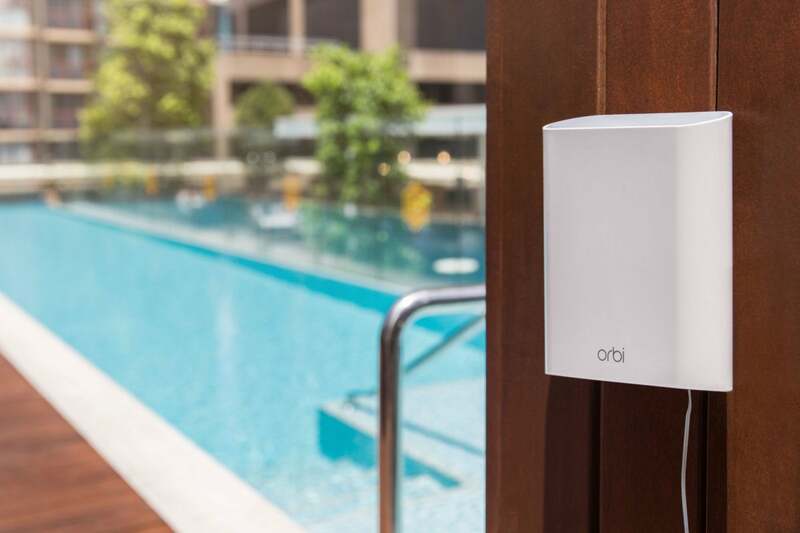 The company recently announced the Orbi Outdoor Satellite. As its name suggests the basic idea is to extend your Wi-Fi network beyond the house and into the yard. That way you’ll never again drop your connection while taking out the garbage. The weatherized device is available now with an MSRP of $330. 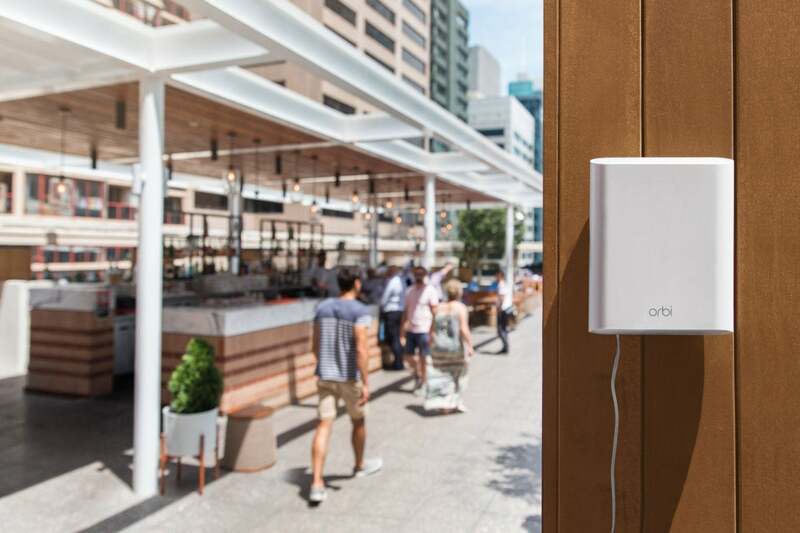 Netgear says a single Outdoor Satellite adds an additional 2,500 square feet to an Orbi network. Designed for both home and commercial deployment (the latter when paired with Netgear’s Orbi Pro for Small Businesses), the RBK50Y can separate guest and employee traffic. It also offers a dedicated admin network. The Outdoor Satellite is a tri-band network device with a dedicated 5GHz connection for data backhaul to the router at a rate of 1.7Gbps (when paired with one of Netgear’s tri-band Orbi routers). 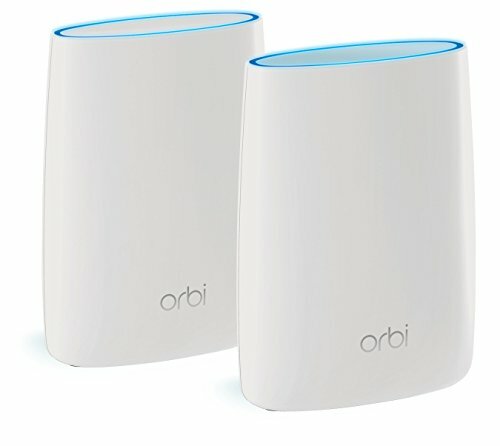 We’re still waiting for Netgear to release new firmware that will add the option of wired backhaul to an Orbi router, but that won’t impact the RBK50Y anyway: The outdoor access point doesn’t have an ethernet port. Netgear thought including one would present a network security risk. Since it’s designed to live outdoors the Outdoor Satellite has some weatherproofing built-in. Netgear says it can withstand sub-zero temperatures—though you might want to bring it indoors if a ‘bomb cyclone’ is overhead. The Satellite also has an IP56 rating for dust and water resistance. You can’t drop it in a pool, but it should withstand heavy rain or even being sprayed from a garden hose. The Orbi Outdoor Satellite also has ambient nightlight (you can turn it off if you don’t want to draw attention to the node’s location), and it can be mounted to the wall or rest on its own stand. We really liked the Orbi Home WiFi System when we reviewed it last January, and for those who are already invested this addition will make it easier to get Wi-Fi outside.